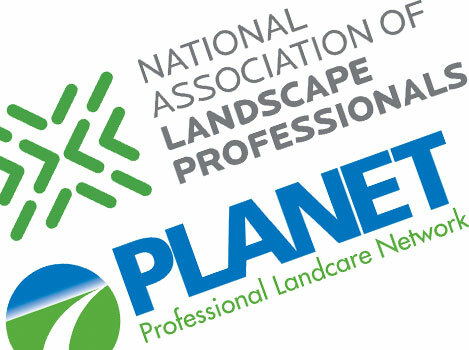 The National Association of Landscape Professionals is the new name of the Professional Landcare Network (PLANET). The association made the announcement at its Great Escape conference at Atlantis in Paradise Island, Bahamas. It will begin using the new brand in April. Along with a new name and logo, the association will undergo a complete rebranding and implement a new strategic plan. PLANET, based in Herndon, Va., was founded in 2005 when the Associated Landscape Contractors of America and the Professional Lawn Care Association of America merged. The association has about 3,800 member companies, representing about 100,000 landscape professionals industry-wide. Association leaders said the name PLANET was confusing and led to poor name recognition among those inside and outside the industry. The board of directors began considering a name change and rebranding effort about a year ago. For the rebranding, the association hired New York-based business-to-business marketing firm DeSantis Breindel. The association started with a list of about 100 possible options and whittled that down to five names, which it tested with member focus groups. Finally, the PLANET board of directors voted on the new brand platform and name at the Green Industry Conference in Louisville, Ky., in October. Members gravitated to a name with the word “professionals” in it, said Sabeena Hickman, PLANET CEO. Additionally, it’s an association best practice to have the word “association” in the name, she said. The new brand was driven by a new strategic platform, which focuses on three pillars: knowledge, advocacy and standards. The association is in the process of evaluating all its programs to see how they fit into those pillars. Some programs may need to be enhanced and others may go away, Hickman said. All newly proposed programs or ideas also will go through a similar evaluation process to ensure they fit the brand. A few new initiatives under consideration include an adult learning portal, which falls under the knowledge pillar. It’s important for a national association to have a robust online training component, Jamieson said. Such a portal would extend beyond video training, and it could extend to certification. Under advocacy, the association is embarking on a research and statistics project to accurately define the size and economic impact of the landscape industry. The results would be useful for communicating with consumers, the media, government officials and others, PLANET leaders said. The association routinely gets asked about the industry size, number of employees, etc., but it doesn’t have reliable third-party data to report. “As the national association and the face of the industry, we want to have those figures to share with the market,” Hickman said. Falling under the standards pillar, the association is in the exploratory phase of a company accredited program. “It’s a game changer if you do it right,” Jamieson said, adding the Tree Care Industry Association and National Pest Management Association have such designations. A company accredited by the association should be the industry’s highest standard in terms of business practices, safety, quality and other factors, he said. 3 Comments on "PLANET launches new brand"
Thank you for your interest in joining the National Association of Landscape Professionals. My name is Cheryl Claborn and I’m the membership manager here at NALP. Marisa is correct, you can join online with the link she provided above, or you can print the membership application, fill it out and send back via fax or mail. I’m traveling today, but will be in the office on Monday and can be reached at 800-395-2522, ext. 293. Please give me a call and we can discuss the benefits of joining NALP. I hope to welcome you as a new member soon!